Your goal is to reach and maintain a healthy weight and you’ve had weight loss surgery to help you get there. As you search online for information and support, you notice that there are many different opinions about the best diet to follow after surgery. Some of the voices strongly advocate for a certain plan and are critical of any variance. It’s confusing. You are determined to be successful and are seeking a clear path to success—but there are so many different routes to take. Which one is best? In general, a healthy diet is one that doesn’t exclude entire food groups, can be followed long-term, focuses on unprocessed foods, and provides your body with the nutrients it needs to thrive. We’ve taken two of the diets we see being promoted online, and outlined the pros and cons of each. Also included is a summary of the Barix Clinics Food Guide—hoping to give you a clear path to success. The theory behind the Paleo diet is that our current diet of highly processed foods and high carbohydrate intake is the cause of many of our current diseases—a credible theory. To remedy this situation, the diet takes you back to eating in a similar fashion to our ancestors in the Paleolithic period (over 10,000 years ago). At that time, diet was based on what was available to hunt and gather. The diet includes meat, fish, poultry, fruits and vegetables. It excludes anything that cavemen didn’t eat—refined sugar, dairy, legumes, and grains. There are 3 different levels that allow for different degrees of compliance. There have been several small studies done to look at the effectiveness of the Paleo diet. Some small losses were achieved (up to 19 pounds in a year), but half of that weight was regained the following year. Ease of Following. The diet is quite restrictive and long-term adherence may be difficult. There are an abundance of cookbooks and some ready-to-eat (processed) Paleo foods available. Alcohol is not allowed on a true Paleo diet, although it can be included in moderation during one of the built-in cheat meals. The high content of meat and vegetables in this diet helps to keep hunger at bay. Bottom Line: The diet does encourage cutting down on processed foods-always a good thing. But with the entire dairy and grain food groups excluded, it’s hard to follow in the long run and difficult to get all of the nutrients you need. Our Paleolithic ancestors worked hard to hunt and gather their food. They didn’t have a grocery store down the street, a job that required them to sit most of the day, and cars for transportation. Not that our diets don’t need some improvement, but it’s hard to follow the logic that what worked in that environment is optimal for today’s lifestyle. 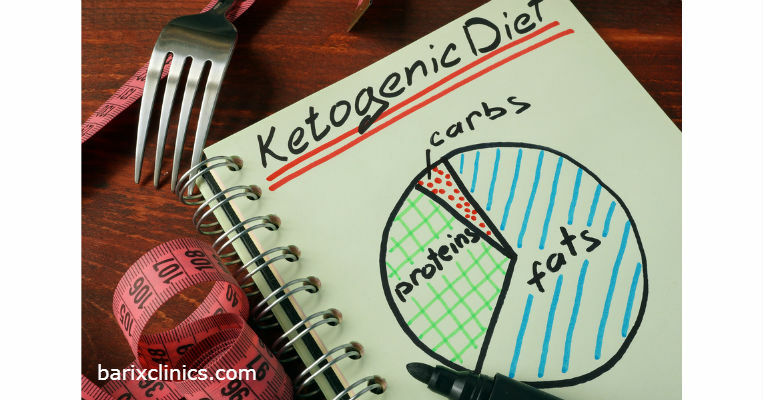 The theory behind the keto diet is that slashing carbs (about 20 grams a day) and loading up on fat causes your body to enter into a state of ketosis. While in ketosis, your body breaks down both dietary and stored fat–using fat for fuel instead of carbohydrates. 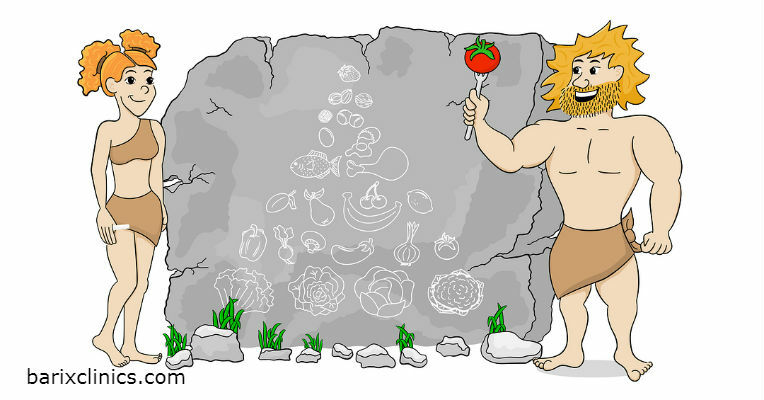 The Keto diet isn’t new. It is based on a diet used to reduce hard-to-control seizures in children. It’s been around as a weight loss diet since the Atkins diet in the 1970’s. It has recently again gained popularity as a weight loss diet. The diet includes: High-fat meats, fish and poultry; oils and butter; high-fat dairy; and limited amounts of low carb vegetables. Fat makes up about 70% of the calories. Generally excluded are higher carb-containing veggies, fruit, breads, rice, pasta, or anything that boosts your carb intake above 20 grams. Recent studies suggest that the Keto diet has some advantages for short-term weight loss. Long-term studies on effectiveness and other potential health concerns from the high-fat, low-carbohydrate consumption are lacking. This diet is very restrictive, but the high fat content should leave you feeling satiated. If you love cheese, bacon, butter, and cream, you may do okay. If you’re a fruit or sandwich lover, you’ll struggle. The extremely high fat content, very low carb content, the exclusion of grains and fruit, and the low fiber content are potential concerns for overall health. For instance, we know that lowering inflammation is important for overall health. Recommendations to lower inflammation include limiting high-fat dairy products, saturated fats, and high-fat meats, and increasing fresh vegetables and fruits—all contraindicated on the Keto diet. The Barix Clinics Nutrition Guide strives to balance the diet, allowing for a variety of foods and the ability to better meet nutritional needs after weight loss surgery. The diet is built on the foundation of lean protein sources—encouraging the avoidance of foods high in added sugar and limiting foods high in fat. Six meals allows portions to remain small and protein goals to be met—potentially helping to maintain the integrity of the surgery. This diet includes low-fat protein sources, vegetables, fruits, and small amounts of whole grains. It excludes foods and beverages with more than 2 grams of added sugar and limits food that are high in fat. Weight loss surgery results in an average of 60-65% excess weight lost in the first year. The Barix Nutrition Guide supports nutrition as weight is lost and maintained. Many food options in all food groups provide an abundance of meal and snack options. The avoidance of added sugars requires utilizing sugar substitutes or doing without sweet-tasting foods. The Barix Clinics Nutrition Guide is a balanced plan that can be followed long-term. It includes the right type of carbohydrates—those coming from fresh vegetables, fruits and a small amount of whole grain. Selecting foods that are least processed will improve the quality of the diet. Vitamin and mineral supplementation is recommended due to small portion sizes. Fad diets are compelling. They offer quick results. Rather than going back to that yo-yo diet pattern of living, take a look at the big picture. You’re on a life-long journey to be as healthy as you can be. You’ll have ups (Yay, I lost 100#!) and downs (I need to have my knee replaced. ), but through it all, a steady and consistent effort will sustain your health. In our society, much of our food supply has been degraded to highly processed, chemical/antibiotic/hormone laden quick, cheap and easy food. You need to put more effort into finding fresh, unprocessed, wholesome foods to fuel your body. It is challenging to consistently eat healthy foods, but well worth the effort when you take the big picture into consideration and realize this is for the long haul. The Barix Nutrition Guide can help you find a balance of the right types of foods in the right portions to optimize your health. Preheat oven to 200 degrees. Wash and then thinly slice apples, discarding seeds. Arrange apples in a single layer on a baking sheet covered with parchment paper. Sprinkle with cinnamon. Bake for 1 hour. Flip apples and continue baking for an additional 1-2 hours, flipping occasionally. Bake until the apple slices are no longer moist. Makes 4 servings. Nutrition information per serving: 66 calories, 1 gram protein, 0 grams fat, 17 grams carbohydrate, 0 mg sodium. Add all ingredients to blender. Blend until smooth. Fill the popsicle molds or cups with the mixture. Place in freezer. Add the popsicle sticks as soon as the mixture is solid enough for them to stand up straight. Continue to freeze until solid. Makes 10 servings. Nutrition information per serving: 129 calories, 9 grams protein, 1 gram fat, 22 grams carbohydrate, 49 mg sodium. Download On Track with Barix: Which Diet is Best?